Career Success helps students increase self-understanding by exploring their personality types, multiple intelligences, interests, and values along with matching careers. It provides information on current career trends, the career decision making process, educational planning, and researching career information and outlook. 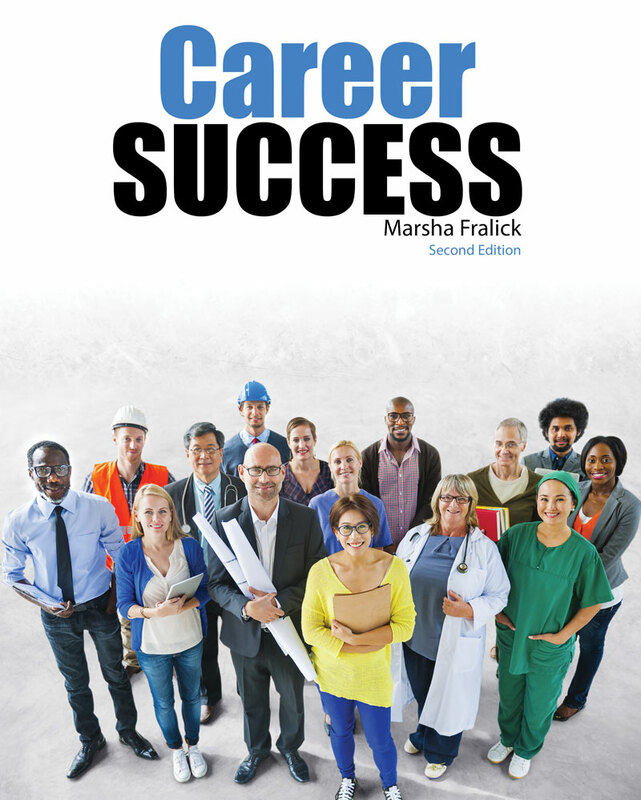 a new chapter on career satisfaction and success. tools for motivation, positive thinking, adopting successful beliefs, and using humor to provide relaxation and perspective. concepts from positive psychology help students build on their strengths, think positively about the future, and clarify what happiness means to them. vocational assessments: the AchieveWORKS™ Personality and Intelligences assessments. The O*Net Interest Profiler is also integrated into the textbook. an online career portfolio which summarizes results of the assessments and provides links to the O*Net database of careers and current available jobs at Indeed.com. interactive activities, frequent quizzes, journal entries, and individual and group exercises to enhance student learning. updated job search strategies including using social media and other online job search tools. The College Success Website at www.collegesuccess1.com has resources for faculty and students including interactive exercises, handouts, and resources that engage students in learning and make teaching easier. Dr. Marsha Fralick has been employed in the field of education for over 47 years, including 37 years of teaching college success courses. She has brought together research in psychology, education, neuroscience, health, and career development to provide students with strategies for college, career, and lifelong success. She has been recognized as an Outstanding First-Year Student Advocate by the National Resource Center for the First-Year Experience and Students in Transition for excellence in teaching, curriculum development, and leadership. Her college and career success materials are now used by community colleges and universities nationwide and in Canada. She has a doctorate from the University of Southern California with an emphasis in career counseling, a master’s degree in counseling from the University of Redlands and a bachelor’s degree in Spanish and English from Arizona State University.